One of the biggest problems companies face is that they do not know what security measures they need.For businesses located in Chicago, Illinois, it means more than just putting up a firewall and using complicated passwords. 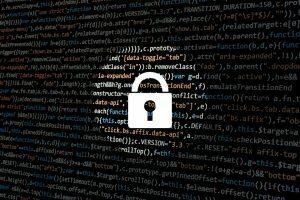 IT Security means ensuring that not only are your documents protected from unauthorized users, but more importantly, outside hackers don’t break into your network wreaking havoc on your data and stealing sensitive information. There is only one low-tech, surefire solution to prevent hackers from getting into your computer—disconnect it from all outside communication. However, with built in Wi-Fi, Bluetooth, and other wireless features, that is not always an easy task for newer technology, and can sometimes hinder your business more than being hacked. CTI has the security solutions and the IT solutions to protect your business in Chicago, Illinois, without going back to the stone age. One of the greatest abilities individuals and businesses have from the invention of the internet is sharing information. However, making sure that the right people have access to that information is more important than sharing it—especially when it comes to customers, other businesses, or even individuals within your business that are in different locations. Making sure you have fast and secure information is key. Data loss from natural disasters, viruses, and other random acts of God can also be avoided with Cloud Solutions. With the help of CTI, you can ensure that your information is backing up to the Cloud, is safe and secure, and can also be accessed by you anywhere and anytime you want. Business phones have joined the technological age. 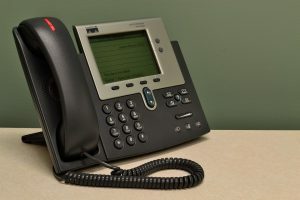 Voice Over IP (or VoIP for short) has made using a business phone network easy and simple. Video Conferencing and Screen Sharing has become a big part of doing business, and old phone lines are not able to handle the increased demands. In addition, your business needs to keep up with the technology implementations of your competitors. CTI Technology has the expertise and knowledge your business needs in order to have a safe and reliable network. 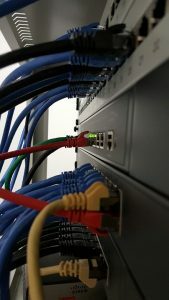 Connecting multiple computers that need to access the internet or a central server can be a daunting task for any business. One of the simplest solutions many companies employ is to use a wireless network. However, wireless networks can open your business up to unnecessary risks. Cabling services can provide your business in Chicago with the necessary means of production that it requires. Running cables into each of your employees’ computers will provide you with more secure internet connections. Furthermore, wired connections have faster speeds than those of wireless connections. Higher speeds mean faster searching, faster file transfers, and more productivity. When it comes to your business’ IT, it is not a matter of if, but how much service you need. Most businesses do not require a whole IT department, and those are often the people that need it the most. With the ever changing world of technology, you need to make sure to keep up-to-date with your system’s security, which is so much more than just downloading the updates. CTI gives you the advantage of having a big corporation IT department without the huge overhead. From setup to maintenance, CTI can help. We work hard to make sure that your systems stay safe and that your information is secure. Just give us a call and we’ll help make sure that you don’t fall victim to hackers or other technological disasters of the modern world.